For the past six years I’ve wanted to try this tiny restaurant in old town Alexandria, VA. They make the best fried chicken. One day I tried it. It did not disappoint. Amidst the gentrification of the neighborhood this is a lone building capturing a time and place. It reminded me of the mountains of China in the mist. 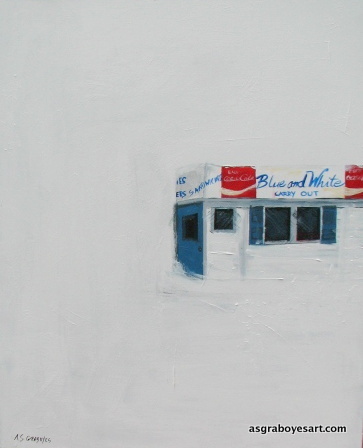 The Blue and White Carryout is a special local spot in Alexandria, VA that has been functioning for about 80 years. Their fried chicken is memorable.